Yesterday marked the one year anniversary of the passing of the beautiful Jack. It’s hard to believe that it has already been a year. Such a big one. We remembered him at the most appropriate place -Very Special Kids. A place where Nicole and Peter were supported and cared for and where Jack spent his final days surrounded by love. 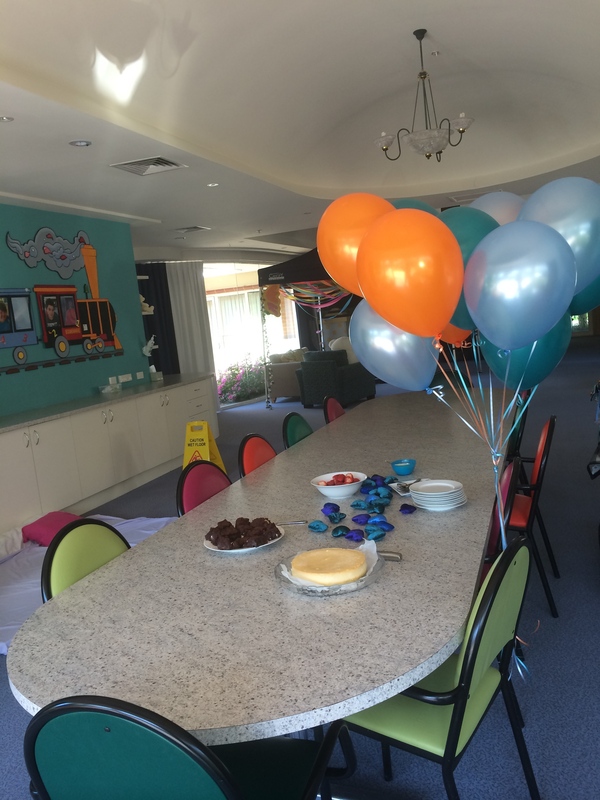 We had delicious cake and brownies made by the wonderful Family Support Worker – Janet and then released some balloons. 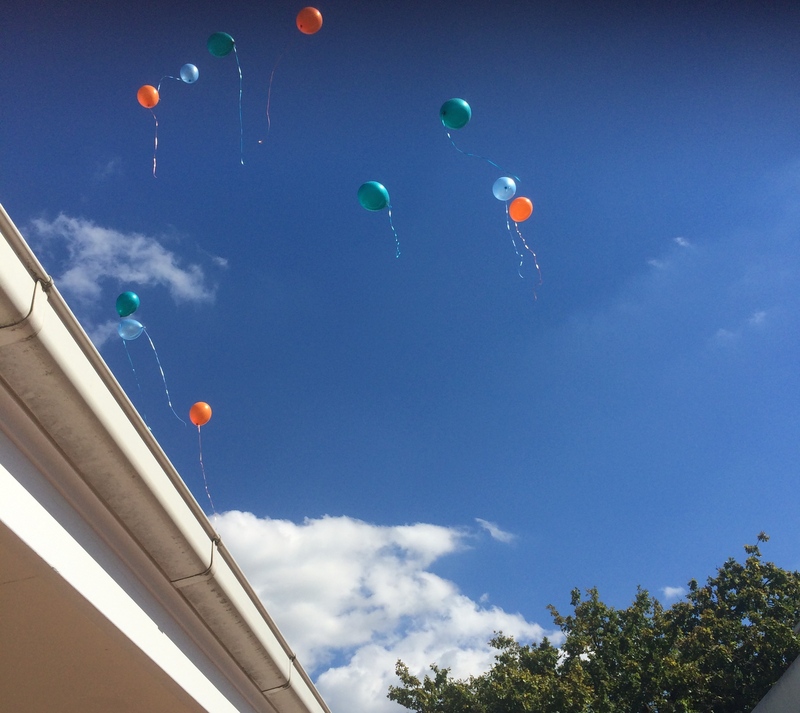 It was a glorious sunshiny day in Melbourne and the balloons looked wonderful against the blue sky. We remember his beautiful blue eyes, his love for Diego and his mum’s amazing zucchini fritters. We remember his strength and courage. We remember him with love. It’s been another fairly emotional time. The anniversary of Jack was looming when I got a message from someone I used to work with. They let me know that a colleague had died. A beautiful woman named Louise, who was a counsellor, died after an embolism. After two days, her life support was turned off. She left behind a husband and two teenage sons. Simon and I attended the heart wrenching funeral last Friday. It is another death that makes absolutely no sense. She will remembered for her warm smile, her beautiful manicured nails and perfect hair. Her kindness and her love for her family. We remember Jack. We remember Louise. And always, and forever, we remember our Tilda. You remind us with each post how precious and precarious life is. And damned unfair.